We wish you a very Happy and Healthy New Year. Information is regularly updated on this website so don’t forget to check it regularly or better still add your email address to the home page and press “subscribe” and you will automatically be notified of any new posts. If you have something to say, or comments to make about the communities of Combwich, Otterhampton, or Steart, drop us an email at the website. 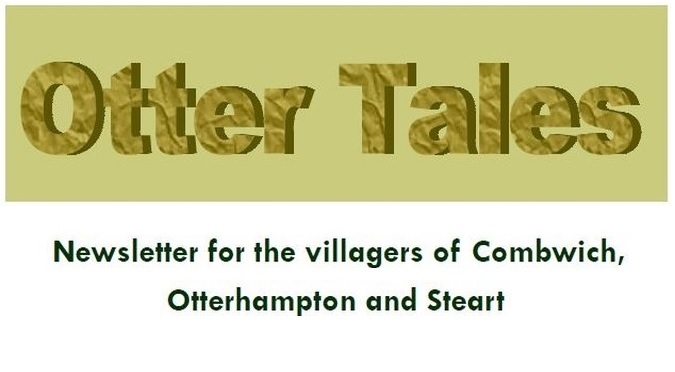 Another good source of local information is the parish newsletter “Otter Tales” which is published in the middle of every other month and delivered to every household. Copy for the January issue should be sent to barry.leathwood@btinternet.com by the first Thursday of the month. Click on the Otter Tales image above to take you to the latest and previous issues of the newsletter.